Only 3% of the leads you acquire are ready to buy. If you’re a sales rep or marketer, that number seems depressingly small. But when you consider that 30% of your leads have a need that your product or service can address, things sound a lot more promising. So how do you identify and help that 30% become ready to purchase your product? 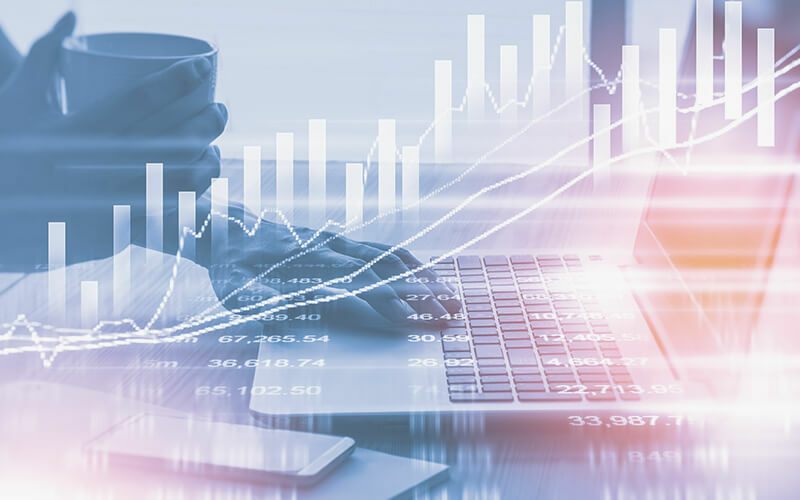 Implementing lead nurturing and lead scoring will allow you to identify promising leads so you can effectively convert more of your leads into customers. Understanding these stages will help you design an effective lead acquisition system. Today, we’ll focus on taking prospective customers from the subscriber stage to sales qualified lead. When people give you their contact information by signing up for your newsletter, downloading a piece of content, registering for a webinar, or another method, you should treat all of these leads equally, right? In some instances, getting someone’s contact information shouldn’t automatically elevate them to lead status. Unfortunately, not every person that gives you their contact information is interested in buying what you have to offer. For example, blog subscribers and content downloaders give you their info, but they may not be interested in your product or service. The reality is that treating all contacts equally—from blog subscribers to free trial users—would be a waste of time and money because most of those contacts are not ready to buy. However, if nurtured correctly, these low-purchase-intent contacts could become leads. Before you start thinking all your leads are terrible and you don’t have a chance in converting any of them, remember the statistics at the beginning of this post. Three percent of the leads you acquire are ready to buy and 30% have a need. By taking the right actions, you can convert many of that 30% into happy customers. Once the leads are pouring in, setting up a lead nurturing and lead scoring system will help you identify which leads are worth your time so you can focus on converting them. 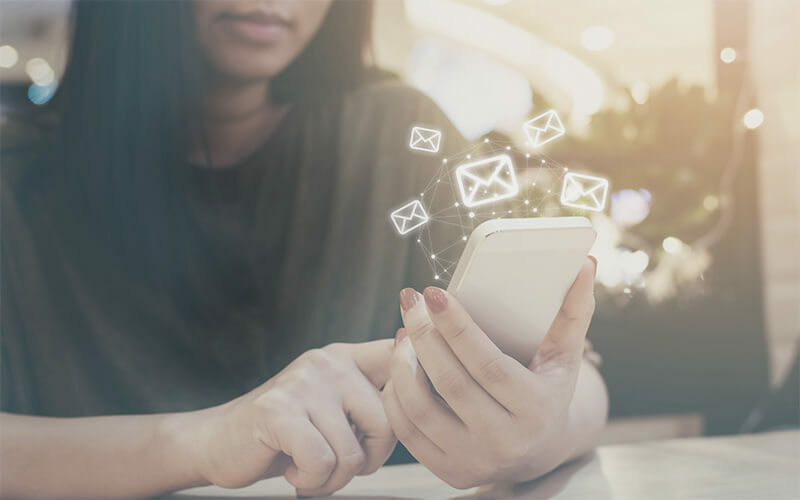 In a nutshell, lead nurturing is having processes in place to provide leads with additional related information about your product, such as sending an automated email after a specific “trigger” action like downloading an infographic. Interested leads who continue to interact with your content will receive additional content, and thereby show you that they are worth additional time and effort. Lead scoring creates a system which measures a lead’s value based on interactions with your website and content. Each interaction has a point value attached to it which will be higher or lower based on the interest level that action shows. For example, someone who downloaded an ebook could be seen as more interested (and therefore valuable to your company), so they might receive more points than someone who only subscribed to your newsletter. Leads with a higher lead score are considered worth developing further. Platforms like Hubspot, Infusionsoft, Marketo, Salesforce, Act-On, and other CRMs offer you the ability to do lead scoring. A marketing qualified lead (MQL) has met specific requirements or achieved a specific score in your lead scoring system by engaging with your website and content. MQLs are worth developing with additional marketing efforts. Many organizations consider almost every lead they acquire an MQL worthy of additional marketing material and efforts on some level. If they respond positively, and continue doing so, they are considered more valuable and are eventually passed to sales. Your organization needs to define what an MQL looks like and what score a lead needs to accumulate to become a marketing qualified lead. While there are many ways to score leads, using a point scale of 1-100 is easy for everyone to understand. Your marketing team can decide what is the ideal score for a lead to become an MQL alone, but having your sales team help identify which actions indicate quality leads is helpful. Details about the company a lead belongs to can increase its lead score. For example, a contact’s job position, the company’s social media presence, number of employees, or yearly income can let you know if they fit into your target demographic. If they do, the lead becomes more valuable because they are more likely to receive higher value from your product and have a longer customer lifetime value. 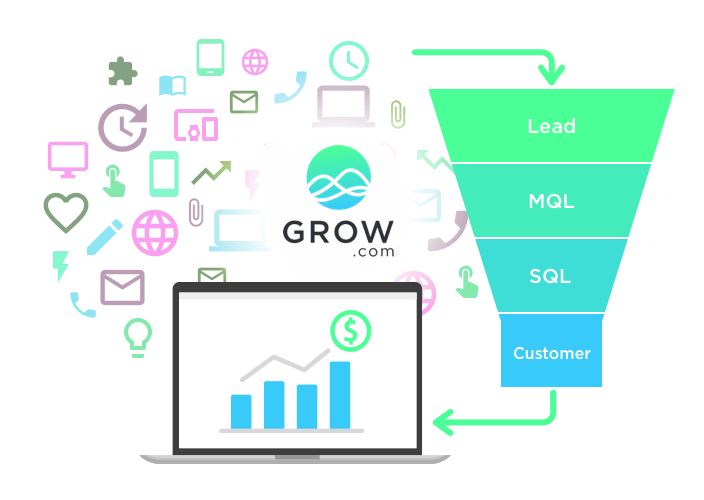 When Grow implemented lead enrichment, the payout was worth the price. Leads with a high level of interest or a specific lead score are ready for the next phase of nurturing to make them a sales qualified lead (SQL). Budget: Do they have a budget for your product? Authority: Are you working with a key stakeholder or someone with purchase authority? Need: Does the company have a pain your product can alleviate? Timeframe: Are they willing to see a product demo within a reasonable amount of time? Setting up a brief call between a lead and a member of marketing or an SDR is a good way to answer these questions—emphasis on “brief.” You don’t want a prospect to feel overwhelmed because you had a 20-minute qualification call followed by another 20-minute demo with an AE. Once you’ve answered the questions above and confirmed product fit a lead becomes an SQL and should be ready for a sales pitch. By the time a lead becomes a customer, they have progressed through several different steps (and sometimes more than one funnel). All along the journey, data can help you understand the amount of incoming marketing leads, how many of those progress to each new stage in your funnel, and eventually which leads end up as customers. Understanding how each of these different stages influence each other and perform allows you to optimize each aspect of lead capture, nurturing, and conversion. 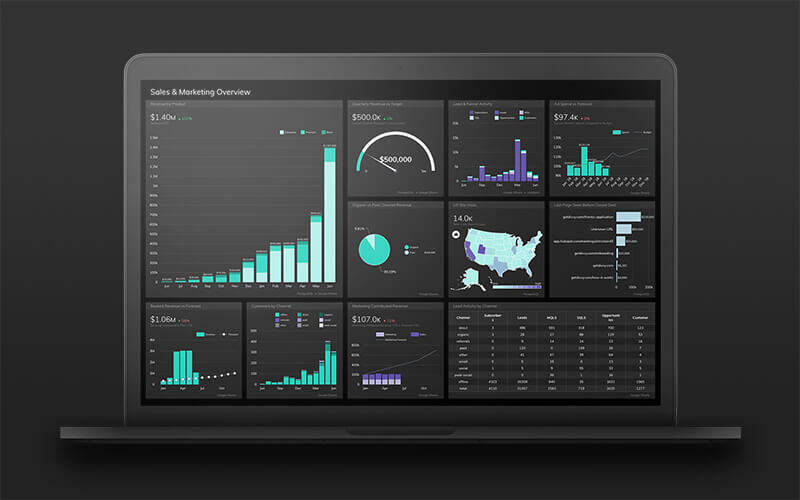 Grow gives you the power you need to effectively track and visualize your data, so you can understand your marketing and sales funnels and lead confidently.